Roland Barthes’s The Fashion System (1967) is a classic, complicated study of how the world of high fashion industry uses images and words to create an abstract world of fashionableness that must at once always change (in order to continue to sell new fashions) and always stay the same (also in order to continue to sell new fashions). 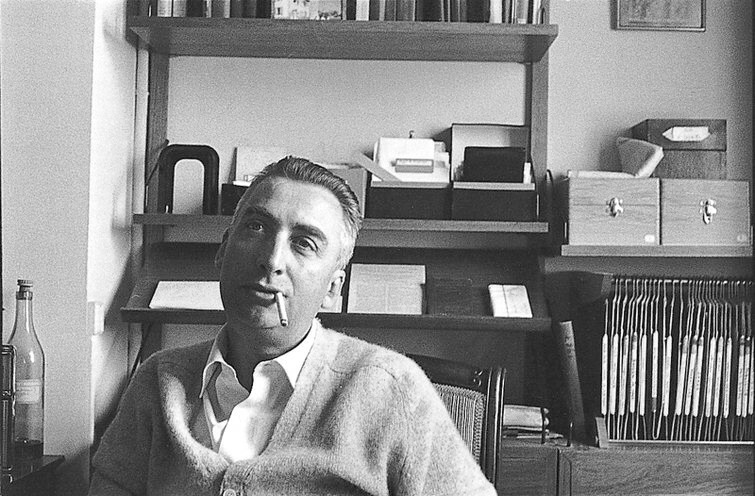 Roland Barthes was a semiotician. He was interested in the process of signification, of the mechanisms by which meanings are produced and into circulation, also known as semiotics. Semiology, or semiotics, broadly defined, is a “science” that studies the political life of signs within a particular time and place, or the system of possible and impossible meanings. It examines rhetorical strategies and the structure of language through which meanings are secured (how we know what someone or something means) and reiterated. Semioticians classify signs and sign systems in relation to the way they are transmitted. This process of making and transmitting meaning depends on the use of codes that may be the individual noises or letters that humans use to form words, the body movements they make to show attitude or emotion, or even something as general as the clothes they wear. The signs and sign systems Barthes analyzes in these excerpts from The Fashion System are the ideas and ideologies that are transmitted through clothing and, in this instance, fashion magazine editorials in particular. The basic terms he uses are: signified, signifier, sign, and sign system. The signifier is the idea or the concept that is attached to a particular thing, which is the signified (thus, the designation of something as “fashionable” is the signifier, and the thing itself is the signified – which has no intrinsic or essential meaning without the signifier). The sign is the combination of the signifier and the signified, and the sign system is the larger historical system that secures the meaning of the sign within a chain of signs, or in relation to other signs. For instance, one sign might be “mom jeans.” The signified would be the object itself –the actual, material thing– and the signifier is the “next” order of meaning-making. The phrase “mom jeans” is a signifier inasmuch as it mediates our understanding of the object through a word or phrase (or an image). But the signifier also includes the operations of meanings through which “mom jeans” comes to function not just as a denotative name for high-waisted, pleated, “relaxed seat” denim pants, but also as a connotative sign referring to a whole host of ideas about mothers (whether or not a person wearing them is a mother, or whether or not a particular mother wears them, why would a mother be wearing them) and their location in the fashion system. While this is a bit of a simplification, this is the level that Barthes is interested in – “the mental representation of a thing…a concept,” how these meanings reproduce hierarchies of value and power in historically and culturally specific ways. So consider, as you’re reading Barthes, how to do a semiotic reading of an item of clothing you might see in your everyday life (e.g., mom jeans, boyfriend jeans, Pink sweatpants, Islamic head covering) and we’ll consider this further in the next class session.